Here it is – the last post in the New research from last week series. I thank all researchers for providing continuous stream of interesting science to include to weekly batches. I also thank all readers for their interest in the series. New research reporting will continue in some form, which is currently uncertain. I probably will continue pointing out some interesting papers in my Twitter feed, but I expect that even there will be a quiet period in coming weeks. Happy new year for all climate science fans everywhere! Citation: Kyle C. Armour, Cecilia M. Bitz, Gerard H. Roe, Journal of Climate 2012, doi: http://dx.doi.org/10.1175/JCLI-D-12-00544.1. Citation: Claus-Dieter Hillenbrand, Gerhard Kuhn, James A. Smith, Karsten Gohl, Alastair G.C. Graham, Robert D. Larter, Johann P. Klages, Rachel Downey, Steven G. Moreton, Matthias Forwick and David G. Vaughan, Geology, v. 41 no. 1 p. 35-38, doi: 10.1130/G33469.1. Citation: Kelsey A. Dyez and A. Christina Ravelo, Geology, v. 41 no. 1 p. 23-26, doi: 10.1130/G33425.1. Highlights: •Good model agreement with observations; •The model reproduces the Arctic ozone deficit in 2011; •Dynamics play a major role for the ozone deficit in 2011. Citation: Isaksen, I. S. A., et al. (2012), Attribution of the Arctic ozone column deficit in March 2011, Geophys. Res. Lett., 39, L24810, doi:10.1029/2012GL053876. Highlights: ► First ever multi-year study of glacier change from the Kodar Mountains, SE Siberia ► Small decline in glacier area from the 1960s to 1995 followed by dramatic reduction ► Reduction coincides with a marked summer warming trend that began in the 1980s ► Topography and supra-glacial debris cover modulate glacier response ► These glaciers may transition into a type of rock glacier within a few decades. Citation: Chris R. Stokes, Maria Shahgedanova, Ian S. Evans, Victor V. Popovnin, Global and Planetary Change, http://dx.doi.org/10.1016/j.gloplacha.2012.12.010. Citation: David H. Bromwich, Julien P. Nicolas, Andrew J. Monaghan, Matthew A. Lazzara, Linda M. Keller, George A. Weidner & Aaron B. Wilson, Nature Geoscience, 2012, doi:10.1038/ngeo1671. Citation: Hugh Williamson, Transactions of the American Philosophical Society, Vol. 1, (Jan. 1, 1769 – Jan. 1, 1771) (pp. 272-280). About this series. When each paper is published, it is notified in AGW Observer Facebook page and Twitter page. Here’s the archive for the research papers of previous weeks. If this sort of thing interests you, be sure to check out A Few Things Illconsidered. They also have a weekly posting containing lots of links to new research and other climate related news. Merry christmas to all climate science fans! What would be better way to spend christmas than to read brand new climate research. That you find below a plenty. Citation: Guoyi Zhou, Changhui Peng, Yuelin Li, Shizhong Liu, Qianmei Zhang, Xuli Tang, Juxiu Liu, Junhua Yan, Deqiang Zhang, Guowei Chu, Global Change Biology, DOI: 10.1111/gcb.12128. Citation: Zhu, R., Q. Chen, W. Ding, and H. Xu (2012), Impact of seabird activity on nitrous oxide and methane fluxes from High Arctic tundra in Svalbard, Norway, J. Geophys. Res., 117, G04015, doi:10.1029/2012JG002130. Citation: Tennant, C., Menounos, B., Wheate, R., and Clague, J. J.: Area change of glaciers in the Canadian Rocky Mountains, 1919 to 2006, The Cryosphere, 6, 1541-1552, doi:10.5194/tc-6-1541-2012, 2012. Citation: Kaicun Wang, Robert E. Dickinson, Qian Ma, John A. Augustine, and Martin Wild, Journal of Climate 2012, doi: http://dx.doi.org/10.1175/JCLI-D-12-00482.1. Citation: Marc J. Metzger, Robert G. H. Bunce, Rob H. G. Jongman, Roger Sayre, Antonio Trabucco, Robert Zomer, Global Ecology and Biogeography, DOI: 10.1111/geb.12022. Citation: Hargreaves, J. C., J. D. Annan, M. Yoshimori, and A. Abe-Ouchi (2012), Can the Last Glacial Maximum constrain climate sensitivity?, Geophys. Res. Lett., 39, L24702, doi:10.1029/2012GL053872. 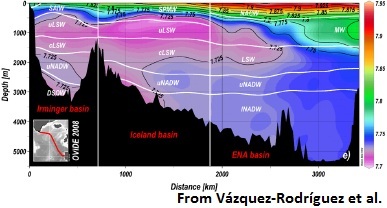 Citation: Vázquez-Rodríguez, M., Pérez, F. F., Velo, A., Ríos, A. F., and Mercier, H.: Observed acidification trends in North Atlantic water masses, Biogeosciences, 9, 5217-5230, doi:10.5194/bg-9-5217-2012, 2012. Citation: Yutian Wu, Lorenzo M. Polvani, Richard Seager, Journal of Climate 2012, doi: http://dx.doi.org/10.1175/JCLI-D-12-00675.1. Citation: Fei Li and Huijun Wang, Journal of Climate 2012, doi: http://dx.doi.org/10.1175/JCLI-D-12-00380.1. Citation: Mohammad Safeeq, Alan Mair, Ali Fares, International Journal of Climatology, DOI: 10.1002/joc.3629. Citation: Bull. Amer. Meteor. Soc., 51, 1043–1048, doi: http://dx.doi.org/10.1175/1520-0477(1970)0512.0.CO;2. These weekly new research posts will not be published anymore after the end of this year. New research will be communicated in some different format in the future. We are working on it in Skeptical Science author community. I’m not yet sure how this might affect my output in my Facebook and Twitter pages, but it is probable that number of papers communicated through those channels will drop. Citation: Sanjiv Kumar, James Kinter, Paul A. Dirmeyer, Zaitao Pan, and Jennifer Adams, Journal of Climate 2012, doi: http://dx.doi.org/10.1175/JCLI-D-12-00535.1. Citation: Seth Westra, Lisa V. Alexander, and Francis W. Zwiers, Journal of Climate 2012, doi: http://dx.doi.org/10.1175/JCLI-D-12-00502.1. Highlights: •Observed precipitation trends inconsistent with simulated internal variability; •Observed precipitation trends mainly due to anthropogenic and natural forcings; •Specifically from GHG and ozone changes, with opposing influence from aerosols. Citation: Fyfe, J. C., N. P. Gillett, and G. J. Marshall (2012), Human influence on extratropical Southern Hemisphere summer precipitation, Geophys. Res. Lett., 39, L23711, doi:10.1029/2012GL054199. Citation: Quaternary International, Volume 283, Pages 1-146 (14 January 2013), edited by Hans Linderholm, Yu Liu, Steven Leavitt and Eryuan Liang. Highlights: •Forest vegetation can enhance conditions favorable to its own existence; •Removal of forest vegetation can alter conditions necessary to sustain growth; •Deforestation can lead to irreversible state shifts. Citation: Runyan, C. W., P. D’Odorico, and D. Lawrence (2012), Physical and biological feedbacks of deforestation, Rev. Geophys., 50, RG4006, doi:10.1029/2012RG000394. Highlights: •The Montreal Protocol has prevented climate change and catastrophic ozone loss; •Heterogeneous chemistry hastens ozone collapse but is not needed to produce it; •The collapse of tropical ozone is reversed quickly if ODS emissions cease. Citation: Garcia, R. R., D. E. Kinnison, and D. R. Marsh (2012), “World avoided” simulations with the Whole Atmosphere Community Climate Model, J. Geophys. Res., 117, D23303, doi:10.1029/2012JD018430. Highlights: •1783-84 CE Laki eruption produced multiyear impact on NH surface temperatures, •Laki produced stratospheric injection and contributed to 1783-84 winter cooling, •S isotope measurements not applicable for interpreting Laki’s climatic impact. Citation: Schmidt, A., T. Thordarson, L. D. Oman, A. Robock, and S. Self (2012), Climatic impact of the long-lasting 1783 Laki eruption: Inapplicability of mass-independent sulfur isotopic composition measurements, J. Geophys. Res., 117, D23116, doi:10.1029/2012JD018414. Citation: P. Räisänen, P. Haapanala, C. E. Chung, M. Kahnert, R. Makkonen, J. Tonttila, T. Nousiainen, Quarterly Journal of the Royal Meteorological Society, DOI: 10.1002/qj.2084. Highlights: •Radiatively active clouds (RAC) are implemented in the LMD global climate model; •Whatever the season, including RAC is required to fit the observed temperatures; •Renewed attention on the polar regions, where cold biases remain, is needed. Citation: Madeleine, J.-B., F. Forget, E. Millour, T. Navarro, and A. Spiga (2012), The influence of radiatively active water ice clouds on the Martian climate, Geophys. Res. Lett., 39, L23202, doi:10.1029/2012GL053564. Highlights: •I am using a novel method to test the significance of temperature trends; •In the Eurasian Arctic region only 17 stations show a significant trend; •I find that in Siberia the trend signal has not yet emerged. Citation: Franzke, C. (2012), On the statistical significance of surface air temperature trends in the Eurasian Arctic region, Geophys. Res. Lett., 39, L23705, doi:10.1029/2012GL054244. Citation: Yang, J., Hu, Y., and Peltier, W. R.: Radiative effects of ozone on the climate of a Snowball Earth, Clim. Past, 8, 2019-2029, doi:10.5194/cp-8-2019-2012, 2012. Highlights: ► The percentage of the world surface that will foreseeably be occupied by no-analogue climates by 2080 ranges between 3.5% and 17.5% ► We present a numerical and cartographic evaluation of these no-analogue climatic zones ► The bulk of the no-analogue surface area will foreseeably be located in the Northern hemisphere (> 80%), more probably in tropical and subtropical latitudes between 10 degrees latitude South and 30 degrees latitude North. ► 32 of the 34 hotspots defined for the planet, especially tropical forests in South America and Asia will be affected by no-analog conditions. 6.8% of these conservation-critical surfaces are predicted as no-analogue areas ► Population density is greater in the areas that will probably develop no-analogue climates in the future than in those that will not. Citation: Javier M. García-López, Carmen Allué, Global and Planetary Change, http://dx.doi.org/10.1016/j.gloplacha.2012.12.001. Citation: Stoney, G. Johnstone, Astrophysical Journal, vol. 7, p.25, DOI: 10.1086/140435. But all this doesn’t mean anything because climate has changed in the past, right? Well, also mass extinctions have happened in the past. Abstract: “We examine the pattern of spreading of warm subtropical-origin waters around Greenland for the years 1992-2009 using a high-resolution (4 km horizontal grid) coupled ocean and sea-ice simulation. The simulation, provided by the Estimating the Circulation and Climate of the Ocean, Phase II (ECCO2) project, qualitatively reproduces the observed warming of subsurface waters in the subpolar gyre associated with changes of the North Atlantic atmospheric state that occurred in the mid-1990s. The modeled subsurface ocean temperature warmed by 1.5°C in southeast and southwest Greenland during 1994-2005 and subsequently cooled by 0.5°C; modeled subsurface ocean temperature increased by 2-2.5°C in central and then northwest Greenland during 1997-2005 and stabilized thereafter, while it increased after 2005 by <0.5°C in north Greenland. Comparisons with in situ measurements off the continental shelf in the Labrador and Irminger Seas indicate that the model initial conditions were 0.4°C too warm in the south but the simulated warming is correctly reproduced; while measurements from eastern Baffin Bay reveal that the model initial conditions were 1.0°C too cold in the northwest but the simulated ocean warming brought modeled temperature closer to observations, i.e. the simulated warming is 1.0°C too large. At several key locations, the modeled oceanic changes off the shelf and below the seasonal mixed layer were rapidly transmitted to the shelf within troughs towards (model-unresolved) fjords. Unless blocked in the fjords by shallow sills, these warm subsurface waters had potential to propagate down the fjords and melt the glacier fronts. Based on model sensitivity simulations from an independent study (Xu and others, 2012), we show that the oceanic changes have very likely increased the subaqueous melt rates of the glacier fronts, and in turn impacted the rates of glacier flow." Citation: Rignot, E.; Fenty, I.; Menemenlis, D.; Xu, Y., Annals of Glaciology, Volume 53, Number 60, November 2012 , pp. 257-266(10), DOI: http://dx.doi.org/10.3189/2012AoG60A136. Highlights: ► Eukaryotic algae were very low in abundance in the microbialite interval. ► Cyanobacteria, anaerobic bacteria, archaea and/or acritarchs were the main microbes in the ocean after the main oceanic metazoan mass extinction. ► Collapse of the terrestrial ecosystem predated that of the marine ecosystem. ► Intensive wildfire occurred simultaneously with the collapse of the terrestrial ecosystem but, preceded that of the marine ecosystem. Citation: Genming Luo, Yongbiao Wang, Kliti Grice, Steve Kershaw, Thomas J. Algeo, Xiaoyan Ruan, Hao Yang, Chengling Jia, Shucheng Xie, Global and Planetary Change, http://dx.doi.org/10.1016/j.gloplacha.2012.11.015. Can a decadal forecasting system predict temperature extreme indices? Citation: Helen M. Hanlon, Gabriele C. Hegerl, and Simon F. B. Tett, Doug M. Smith, Journal of Climate 2012, doi: http://dx.doi.org/10.1175/JCLI-D-12-00512.1. Highlights: ► Ozone dependence on NOx and temperature at industrial and rural stations. ► Prediction of number of days with ozone exceedances in terms of climate change. ► Frequency of bad ozone days increases by 135% at the industrial station. ► Frequency of bad ozone days increases by 87% at the rural station. ► Ozone forming potential is significantly higher in rural areas than in urban ones. Citation: Ani Melkonyan, Patrick Wagner, Atmospheric Environment, Volume 67, March 2013, Pages 287–295, http://dx.doi.org/10.1016/j.atmosenv.2012.10.023. Highlights: •Examine a possible causal link between Arctic sea ice and Siberian snow cover, •CAM3 experiments were designed, •Arctic Ocean surface forcing is necessary to induce a Siberian snow signal. 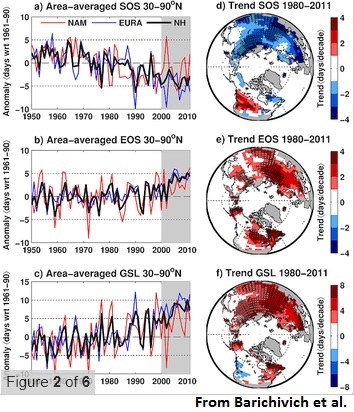 Citation: Ghatak, D., C. Deser, A. Frei, G. Gong, A. Phillips, D. A. Robinson, and J. Stroeve (2012), Simulated Siberian snow cover response to observed Arctic sea ice loss, 1979–2008, J. Geophys. Res., 117, D23108, doi:10.1029/2012JD018047. Highlights: •The decade of the 2000s recorded the longest thermal growing seasons since 1950, •The extension has been symmetrical since 2005 due to strong autumn warming, •Thermal growing season length is not correlated with biospheric uptake period. Citation: Barichivich, J., K. R. Briffa, T. J. Osborn, T. M. Melvin, and J. Caesar (2012), Thermal growing season and timing of biospheric carbon uptake across the Northern Hemisphere, Global Biogeochem. Cycles, 26, GB4015, doi:10.1029/2012GB004312. 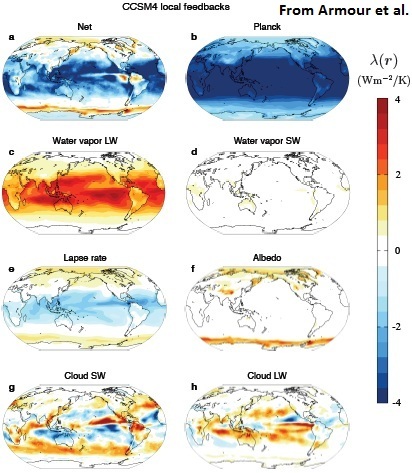 Citation: Takemura, T.: Distributions and climate effects of atmospheric aerosols from the preindustrial era to 2100 along Representative Concentration Pathways (RCPs) simulated using the global aerosol model SPRINTARS, Atmos. Chem. Phys., 12, 11555-11572, doi:10.5194/acp-12-11555-2012, 2012. Citation: Yara, Y., Vogt, M., Fujii, M., Yamano, H., Hauri, C., Steinacher, M., Gruber, N., and Yamanaka, Y.: Ocean acidification limits temperature-induced poleward expansion of coral habitats around Japan, Biogeosciences, 9, 4955-4968, doi:10.5194/bg-9-4955-2012, 2012. Citation: Xiaoyan Jiang, Sara A. Rauscher, Todd D. Ringler, David M. Lawrence, A. 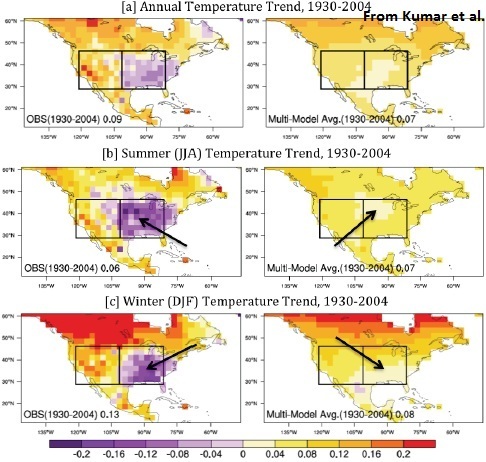 Park Williams, Craig D. Allen, Allison L. Steiner, D. Michael Cai, and Nate G. McDowell, Journal of Climate 2012, doi: http://dx.doi.org/10.1175/JCLI-D-12-00430.1 . Citation: Jason E. Box, Noel Cressie, David H. Bromwich, Ji-Hoon Jung, Michiel van den Broeke, J. H. van Angelen, Richard R. Forster, Clement Miège, Ellen Mosley-Thompson, Bo Vinther, and Joseph R. McConnell, Journal of Climate 2012, doi: http://dx.doi.org/10.1175/JCLI-D-12-00373.1. Citation: J. M. Gregory, N. J. White, J. A. Church, M. F. P. Bierkens, J. E. Box, M. R. van den Broeke, J. G. Cogley, X. Fettweis, E. Hanna, P. Huybrechts, L. F. Konikow, P. W. Leclercq, B. Marzeion, J. Oerlemans, M. E. Tamisiea, Y. Wada, L. M. Wake, and R. S.W. van de Wal, Journal of Climate 2012, doi: http://dx.doi.org/10.1175/JCLI-D-12-00319.1. Citation: Jörn Thomsen, Isabel Casties, Christian Pansch, Arne Körtzinger, Frank Melzner, Global Change Biology, DOI: 10.1111/gcb.12109. Citation: Tai, A. P. K., Mickley, L. J., and Jacob, D. J.: Impact of 2000–2050 climate change on fine particulate matter (PM2.5) air quality inferred from a multi-model analysis of meteorological modes, Atmos. Chem. Phys., 12, 11329-11337, doi:10.5194/acp-12-11329-2012, 2012. Citation: David White, The Journal of Geology, Vol. 15, No. 7 (Oct. – Nov., 1907) (pp. 615-633). Sometimes in the past western Greenland was warmer than today! There has been increasingly warm summers in Euro-Mediterranean region – is this due to increasing solar radiation observed in Spain? There’s an increasing need of dusting in Tibetan Plateau due to warming, which by the way is proceeding globally just as expected from GHG-cause. We also look at Fijian corals, vegetation response to climate, and an example of climate caused collapse of prehistoric human society. Check out also the 25 other studies if you want to know some other things, such as the impact of precipitation on vehicle speeds on UK motorways, or storm of November 1724. Highlights: ► This paper presents five Holocene lake records from west Greenland. ► Chironomids provide quantitative estimates of summer air temperature anomalies. ► Peak Holocene warmth occurred from 6 to 4 ka, with temperatures 2–3° warmer than today. ► A transient climate change is recorded at all five study sites ∼4.2 ka. ► The inferred paleotemperature history agrees well with local glacial geologic records. Citation: Yarrow Axford, Shanna Losee, Jason P. Briner, Donna R. Francis, Peter G. Langdon, Ian R. Walker, Quaternary Science Reviews, Volume 59, 3 January 2013, Pages 87–100, http://dx.doi.org/10.1016/j.quascirev.2012.10.024. Highlights: ► We provide the Tanggula ice core record during 1850–2004 A.D. ► The 1860–1874 and 1930–1954 are two high dust flux periods. ► Dust flux increased since 1960 within warming perspective. ► High dust is correlated with strengthened westerlies over the Tibetan Plateau and low pressure in the source regions. ► Warming seems make Tibetan Plateau dustier. Citation: Guangjian Wu, Chenglong Zhang, Baiqing Xu, Rui Mao, Daniel Joswiak, Ninglian Wang, Tandong Yao, Quaternary Science Reviews, Volume 59, 3 January 2013, Pages 57–66, http://dx.doi.org/10.1016/j.quascirev.2012.10.003. Highlights: ► We develop a new dataset of surface solar radiation records in Spain. ► The global and diffuse solar radiation series have been homogenized. ► The global solar radiation shows a significant increase over the 1985-2010 period. ► The diffuse component shows a significant decrease during the same period. ► These results point towards a recent decrease of clouds and/or aerosols. Citation: A. Sanchez-Lorenzo, J. Calbó, M. Wild, Global and Planetary Change, http://dx.doi.org/10.1016/j.gloplacha.2012.11.010. Citation: Claudia Simolo, Michele Brunetti, Maurizio Maugeri, Teresa Nanni, Regional Environmental Change, November 2012, DOI: 10.1007/s10113-012-0373-7. Highlights: ► Long-term decreasing trend in coral δ13C is due to the atmospheric 13C Suess Effect. ► Fiji Porites corals growing at deeper water depths have lower mean δ13C. ► Fiji Porites corals growing at deeper water depths have lower skeletal extension rate rate. ► The growth of corals into shallower water with time dampens the δ13C trend. ► The trend in coral δ13C lags the trend in atmospheric CO2 δ13C by ~ 10 years. 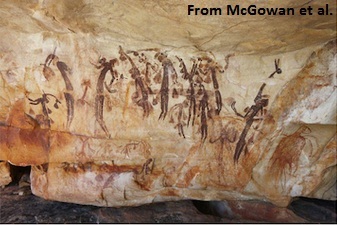 Citation: Emilie P. Dassié, Gavin M. Lemley, Braddock K. Linsley, Palaeogeography, Palaeoclimatology, Palaeoecology, http://dx.doi.org/10.1016/j.palaeo.2012.11.012. Highlights: ► The sensitivity of vegetation phenology to climate change varies among biomes. ► Key weaknesses in our current understanding of phenology drivers are identified. ► Phenology controls many feedbacks of vegetation to the climate system. ► The size and seasonality of these feedbacks will shift as phenology shifts. ► Models that couple the land surface to the climate system need better phenology. Citation: Andrew D. Richardson, Trevor F. Keenan, Mirco Migliavacca, Youngryel Ryu, c, Oliver Sonnentag, Michael Toomey, Agricultural and Forest Meteorology, Volume 169, 15 February 2013, Pages 156–173, http://dx.doi.org/10.1016/j.agrformet.2012.09.012. Highlights: •Millennial scale failure of the Australian monsoon, •ENSO mega-drought, •Climate forced rapid change of Aboriginal cultures. Citation: McGowan, H., S. Marx, P. Moss, and A. Hammond (2012), Evidence of ENSO mega-drought triggered collapse of prehistory Aboriginal society in northwest Australia, Geophys. Res. Lett., 39, L22702, doi:10.1029/2012GL053916. Citation: Stefan Rahmstorf et al 2012 Environ. Res. Lett. 7 044035 doi:10.1088/1748-9326/7/4/044035. Citation: Samartin, S., Heiri, O., Lotter, A. F., and Tinner, W.: Climate warming and vegetation response after Heinrich event 1 (16 700–16 000 cal yr BP) in Europe south of the Alps, Clim. Past, 8, 1913-1927, doi:10.5194/cp-8-1913-2012, 2012. Abstract: No abstract. This is the last of Thomas Barker’s annual climate reports. He made continuous weather observations through many decades in 18th century and reported about them annually in Royal Society’s Philosophical Transactions. Citation: Thomas Barker, Esq., Phil. Trans. R. Soc. Lond. January 1, 1800 90 46-48; doi:10.1098/rstl.1800.0004.